Asia is the largest and most populous continent on Earth and has plenty to offer travelers. There is such an astonishing array of things to do and see. From the ancient traditions, cultures, and architecture of centuries-old cities to modern, even futuristic, high-tech metropolises bursting with energy, there is truly a place that tugs at the heart of every adventurer. The Angkor temples of Siem Reap in Cambodia, Hong Kong's Victoria Harbor, and the Living Goddess of Kathmandu, Nepal, gift visitors with wildly different experiences. Temples, pagodas, gardens, museums, and too many UNESCO World Heritage Sites to mention mesmerize travelers with new experiences. 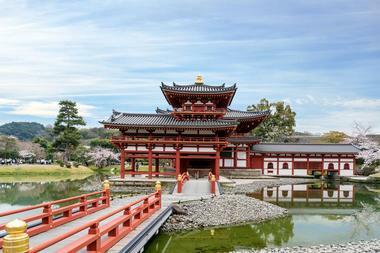 For a trip back in time to old Japan, Kyoto is the place. It has somehow survived centuries of war and disaster and has miraculously retained its historically treasured structures. Maybe that's why it is referred to as the spiritual heart of Japan. Visitors to Kyoto will find more than 2,000 shrines and temples to explore, one of the most outstanding being Kinkaku-ji - the Golden Pavilion. The Higashiyama District is the city's historic district and is a must-visit, where the streets are lined with cafés, restaurants, and specialty shops. Fushimi Sake District is another must-see, with nearly 40 sake breweries. Those visiting in mid-July will experience Gion Matsuri, Japan's most famous festival. 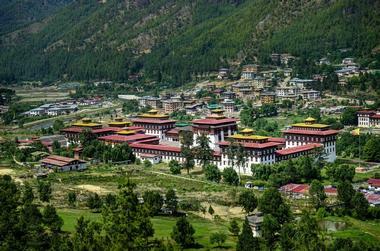 Bhutan's modern capital of Thimphu is bursting with restaurants, night clubs, and cafés. Despite this busy city's fast pace, visitors won't see any stoplights here. Navigating intersections means paying attention to policemen directing traffic from decorated corner pavilions. Thimphu is the ideal place to immerse travelers in contemporary Bhutanese culture with its vibrant mix of ancient tradition and modern amenities. Visitors will appreciate the convenience of Thimphu's many ATMs, a rarity in Bhutan. Getting local currency for traveling outside the city is as important as having cash to spend in Thimphu's lively retail scene. The giant golden Shakyamuni statue containing 125,000 small Buddha statues and a meditation hall is a must-see. 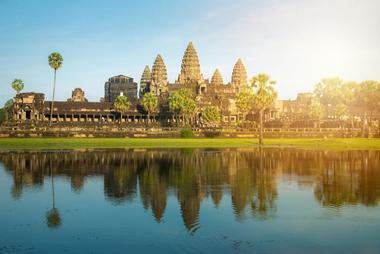 Siem Reap is nearly synonymous with the Angkor temples located north of the city. Ruins of the world-famous temples have turned nearby Siem Reap into a boomtown over the last decade. Where there were once only a few budget guesthouses there are now huge luxury hotels and numerous budget hotels. Travelers can expect lots of bars, restaurants, and local entertainment. Cambodian cuisine, plentiful and intriguing, includes dinner at a floating restaurant on Tonle Sap Lake. Besides the requisite visit to the Angkor temples, visitors can dive into the culture by taking a countryside cooking class. The best time to visit is November to February. 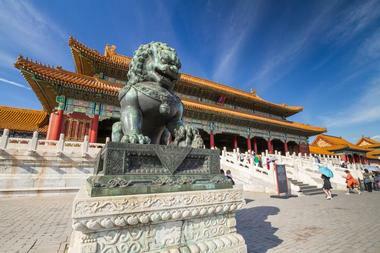 Beijing, China's extraordinary capital, is a must-see destination on any trip to The Red Dragon of Asia. Visitors can expect dazzling modern architecture, world-class cultural spectacles, and thousands of international restaurants. There are six UNESCO World Heritage Sites packed into this vibrant city, including the Great Wall of China, the Forbidden City, the 13 Tombs of the Ming Dynasty, the Summer Palace, the Temple of Heaven, and Zhoukoudian caves archaeological site. Visitors to Beijing will also find Tiananmen Square, the Great Hall of the People, Tiananmen Tower, and a bevy of other must-see monuments. The lavender fields of Caijiawa, night scene of Jinbao Street, and traditional performing arts of the Peking Opera are also bucket list worthy. 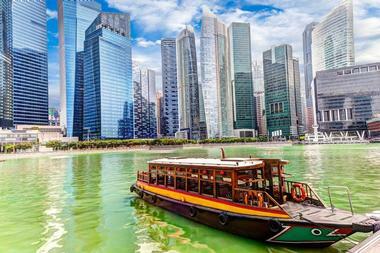 Hong Kong, the Pearl of the Orient, is where East meets West in the South China Sea. 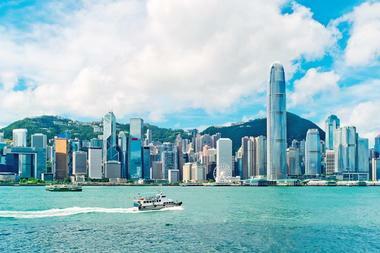 Victoria Harbor, the epicenter of Hong Kong, is a stunning cosmopolitan fusion of culture and nightlife. Visitors can see it up close from the Tsim Sha Tsui Promenade on a waterfront stroll or get a birds-eye view from The Peak - the highest point on Hong Kong Island. Victoria Harbor is also home to the nightly multimedia light show, A Symphony of Lights, which has become Hong Kong's signature icon. Ladies' Market and Temple Street Night Market are two other must-see attractions where travelers will find everything from fortune-tellers to souvenirs. 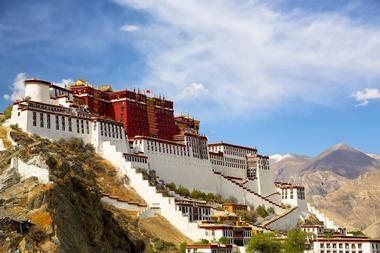 Lhasa, which means the Buddha Land, is Tibet's cultural, political, and economic center. The city's 1,000-year-old spiritual and cultural heritage is evident in the splendor of Potala Palace, Jokhang Temple, Sera Monastery, and other spectacular monuments and buildings. The natural beauty of the surroundings is unsurpassed. Visitors should keep in mind that the remote city is at an elevation of nearly 12,000 feet, which may cause altitude sickness. And travelers are advised to dress warmly. Foreign visitors can only come to Tibet with authorized Chinese travel guides and must get a Tibet travel permit through an authorized travel agency 30 days prior to travel. Shanghai is China's largest city. Nestled between the Pacific Ocean and the East China Sea, its name translates appropriately to City by the Sea. This city is divided in two by the Huangpujiang River. Puxi, the older part of Shanghai, lies to the west of the river. Here visitors will find the European-inspired Bund Promenade along the riverfront with 52 unique buildings. Most of the cultural highlights like Yu Garden, People's Square, the Jade Buddha Temple, the iconic Longhua Temple and Pagoda, and Nanjing Road Pedestrian Street are on this side. 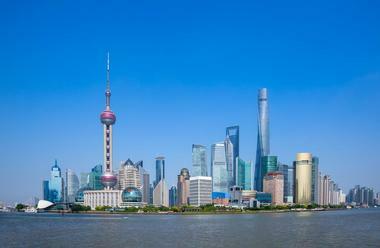 To the east of the river is Pudong, Shanghai's more modern side with the Shanghai Ocean Aquarium, Shanghai Zoo, and Shanghai Science & Tech Museum. 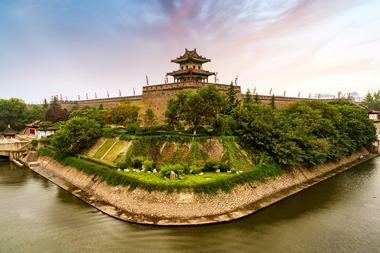 Xian, the Eternal City, holds the recorded history for ancient Chinese civilization. Like a living history, this city in the central northwest has documented China's history for over 3,000 years. It served as the country's capital city during 1,100 years of China's ancient dynasties and is home to many cultural relics. Xian is also the eastern terminus to the iconic Silk Road. Visitors can expect to see incredible sights like the Terracotta Warriors of the Qin Dynasty, the Bell Tower, the City Wall, the Yangling Mausoleum of the Han Dynasty, and Huashan Mountain. Other highlights include the Drum Tower of the Ming Dynasty and the Famen Temple, home of the Finger Bone of Sakyamuni Buddha. 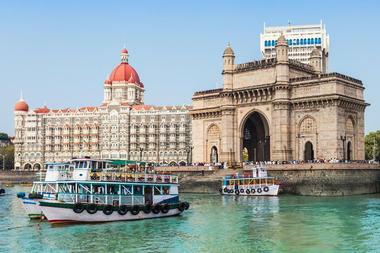 Mumbai, formerly Bombay, is India's entertainment capital. Also known as the "city of dreams," it's a city of contradictions. Visitors will find an exhilarating energy in this island city in the Arabian Sea. Business people scuttle between skyscrapers, Bollywood stars hang out at upscale restaurants, and young urbanites dance the night away at swanky bars like Hype and The Blue Frog. In the heart of Mumbai, travelers can explore the beautiful colonial architecture of Colaba and Churchgate as well as sacred temples and distinctive bazaars. Highlights include the Gateway of India, Chhatrapati Shivaji Terminus - a UNESCO World Heritage Site, the Shree Siddhivinayak Temple, the Asiatic Society, and Marine Drive, also known as The Queen's Necklace. Udaipur, founded in 1559 by Maharana Udai Singh II, is an enchanting travel destination in Western India. 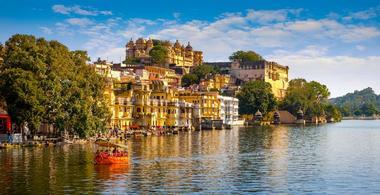 Dubbed the "Venice of the East" and the "Jewel of Mewar," the city is located in a valley surrounded by manmade lakes. It is best known for its opulent royal palaces, temples, and havelis. City Palace is a must-see with a complex of 11 palaces, gardens, and courtyards that overlook Lake Pichola. 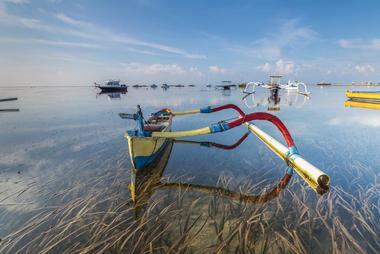 Travelers can explore charming narrow streets, colorful bazaars, Old World hotels, and tranquil lakes. Surrounded by the lovely Aravalli Hills, it has a natural beauty all its own. Highlights beyond City Palace include boat rides on Lake Pichola, Doodh Talai Musical Garden and Karni Mata Temple, and Bagore Ki Haveli. Seminyak is an exclusive enclave on the southern Indonesian island of Bali, part of the Lesser Sunda Islands. The sophisticated beach community is characterized by world-class beach hotels, fashionable boutiques, upscale restaurants, and a fabulous wide beach. It's popular among expatriates, many of whom own businesses there, and surfers. This stretch of the island is quieter and more laidback than the rest of the island. One of Seminyak's big draws is surfing, with the most challenging beach breaks at the north end of Seminyak Beach. Another biggie is the shopping, where travelers can find all types of clothes, jewelry, and home décor, especially around Jalan Laksmana. 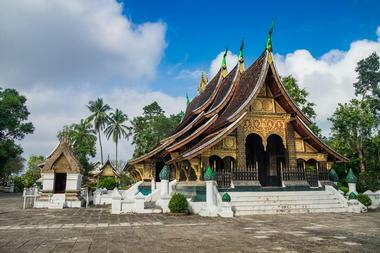 Other highlights include Pura Petitenget Temple and numerous stylish restaurants and beach clubs. 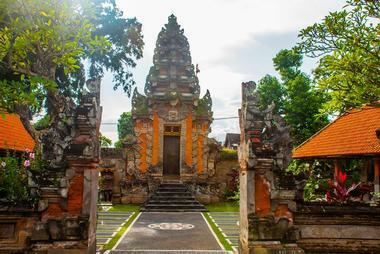 Ubud is a world-renowned center of Balinese art and culture. This wildly popular getaway was made even more famous by Elizabeth Gilbert's novel, Eat, Pray, Love. It's a good place to come to get in touch with one's spiritual side on the "island of the gods." Visitors can take in traditional dance performances, dine at upscale restaurants or vegan cafés, peruse art galleries, or visit the Sacred Monkey Forest Sanctuary. A walk north of Ubud to nearby Petulu offers travelers a chance to see 20,000 herons, a spectacle believed to bring good luck. Getting outside Ubud to explore the countryside adds even more magic to any vacation here. Tokyo is Japan's capital and its most visited city. It's also one of the most populous city in the world. Visitors shouldn't be overwhelmed, however, as it's completely digestible with 23 central wards and numerous cities and towns making up the metropolis. The Asakusa historic district is a good place to start an exploration of Tokyo with its superb gardens, temples, and museums. Ueno Park has several top museums concentrated together, including Tokyo National Museum, as well as the Ueno Zoo. 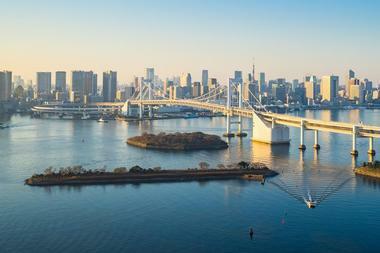 Tokyo provides a world of anime shopping, theme parks, museums, and events, including Comiket in Odaiba. Tokyo Skytree offers one of the best views in the city. Numerous parks like Ueno, Shinjuku Gyoen, and Chidorigafuchi are perfect for viewing springtime cherry blossoms. 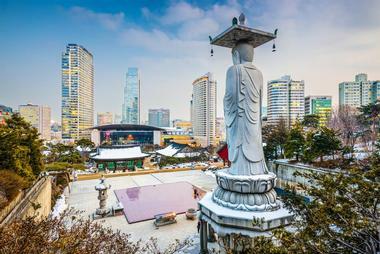 Seoul is at once a futuristic, high-tech metropolis with modern skyscrapers and pop culture and a deeply traditional city of temples, palaces, and Buddhist culture. The city's convention hall, Dongdaemun Design Plaza, is an example of cutting-edge architecture with a rooftop park. At the other end of the spectrum is the famous 14th century Gyeongbokgung Palace, constructed during the Joseon Dynasty. History buffs will want to visit Suwon's Swaseong Fortress, a Korean castle and UNESCO World Heritage Site, and the Jogyesa Buddhist Temple, an ancient temple of Zen Buddhism. Foodies would love the Korean Night Dining Tour, and shopaholics won't want to miss a day in Myeongdong for the latest in fashion and Korean cosmetics. Luang Prabang, Laos, is notable for its cultural diversity and natural surroundings. The town was placed on the UNESCO World Heritage list in 1995 for its townscape, which seamlessly blends the traditional architecture of Laos with 19th century European colonial architecture in the old city center. Art lovers will be fascinated with local craftsmen producing pottery, bamboo weavings, 100% silver products, and handmade paper. Luang Prabang is also known for its blacksmithing. Nature lovers will be thrilled by the waterfalls and green spaces of Luang Prabang, like Kuang Si Waterfall, Nam Dong Nature Park, and Sae Waterfalls. There is also a number of Buddhist temples in town to visit, and there are numerous adventure activities outside Luang Prabang. Mongolia is a vast country tucked between China and Russia with four distinct geographic areas - mountains, mountain steppe, forest steppe, and desert. The culture is dominated by Tibetan Buddhism and nomadism. Nalaikh is one of nine districts of the capital city of Ulaanbaatar, and opportunities to explore include Gorkhi-Terelj National Park, Gun-Galuut Nature Reserve, and the Chinggis Khan Memorial. The tourist camps in Gorkhi-Terelj place visitors near Khagiin Khar Lake - a glacial lake - as well as Yestii Hot Water Springs and a Buddhist monastery. There are also ample opportunities for rock climbing. Nalaikh itself is a poor village whose main source of livelihood - the local coal mine - has closed. 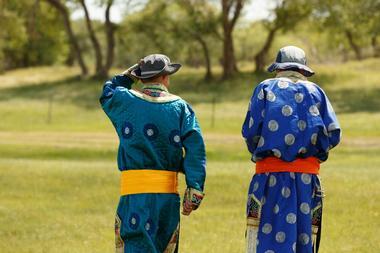 Visitors may enjoy immersing themselves in Kazakh culture. 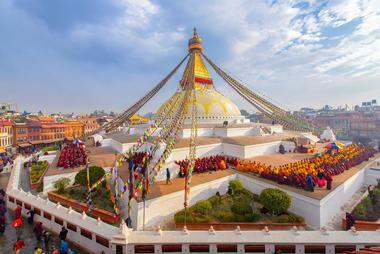 Kathmandu is the capital city and cultural heart of Nepal. Travelers will be warmly welcomed here as the city's inhabitants practice their ancestral value of Atithi Devo Bhava, which means that the guest is equivalent to God. The Newari architecture is unique to Kathmandu Valley and is a treasure to behold. Kumari, the Living Goddess, is chosen in the same fashion as the Dalai Lama is chosen. Visitors can see her at Basantapur or during Indra Jatra, Nepal's biggest festival, which is in early fall. Other must-see attractions in Kathmandu include the 5th century Pashupatinath Temple - one of eight UNESCO World Heritage Sites, Boudhanath Stupa for morning or evening meditation, and Garden of Dreams, a neoclassical garden. Borocay sits on the northwestern tip of Panay Island in the Visayas Islands of the Philippines. This lush tropical destination is a sun-worshiper's paradise, with a dozen powdery white sand beaches, clear blue water, and dense tropical palms, plants, and flowers. The diverse marine life only adds to the mystique. Borocay is a cluster of three villages: Yapak, Balabag, and Manoc-Manoc, interconnected by pedestrian trails. Lounging and the beach and playing in the water fills the days, and at night the beach bars and discos keep the party alive. Other attractions include exploring the bat caves of Yapak on a guided tour and visiting the Kar-Tir Seashell Museum. A good place to start an exploration of Singapore is a visit to their three dominant ethnic communities - Chinatown, Little India, and Kampong Glam. Travelers will get a good sense of each neighborhood's heritage along their pedestrian "five-foot ways" in this walkable city. This "City in a Garden" has numerous botanic gardens and tons of green space. Singapore Botanic Garden and the stunning Gardens by the Bay are good places to start for nature lovers. The adventurous will want to explore the rainforests of Pulau Ubin or kick the adrenaline up a notch at Mega Adventure Park. Foodies will appreciate all Singapore has to offer, from Michelin-starred hawker stalls to a food tour of the Joo Chiat/Katong neighborhood. 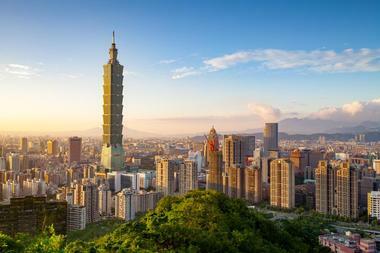 The modern city of Taipei is a fusion of Chinese culture and outside influences like Japan, America, and Southeast Asia. Visitors can expect a contemporary, high-energy vibe with plenty of upscale shopping and a lively street-food scene. Travelers can get a bird's eye view of the city from the top of the 1,670-foot tall bamboo-shaped skyscraper, the Taipei 101 complex. The nighttime cityscape from Elephant Mountain is dazzling. Taipei's historical heritage is on display at Liberty Square and Bopiliao Old Street, while shopping enthusiasts will love the night markets, especially Qingguang Market and Ningia Road Night Market. Nature lovers will want to check out Taipei's outdoor spaces, including Bitou Park Outdoor Hot Spring Bathing Pool, the Old Tianmu and Zhinanchalu hiking trails, and Zhishan Park. 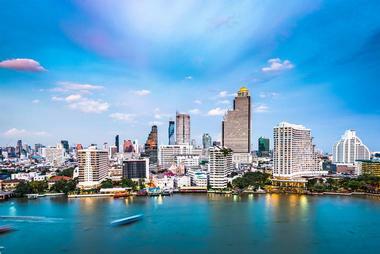 Bangkok, famous for its shrines, palaces, nightclubs, and exotic red-light districts, is a city of contradictions. Travelers would do well to start a visit at the lavish Grand Palace and Wat Prakeaw in Old Town, then making their way to the nearby reclining Buddha at Wat Pho temple complex. A longtail boat ride on the Chao Phraya River takes visitors past old settlements for a charming experience. Gliding through the Damnoen Saduak floating market (the most popular and busiest in Thailand) is a photographer's dream. Chinatown, Khao San Road, and Chatuchak - a weekend wholesale market - should also be on the things to see in Bangkok list. 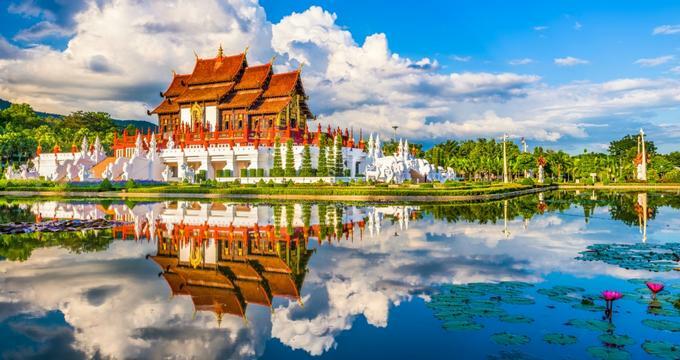 Once the capital of the Lanna Kingdom, Chiang Mai is a modern city and a popular destination for tourists and expats today. Situated in sub-tropical Northern Thailand, it's cooler than the Southern Thailand on the Malay Peninsula. The ethereal beauty of Chiang Mai is reflected in the surrounding mountains, botanical gardens, and hill tribe villages. 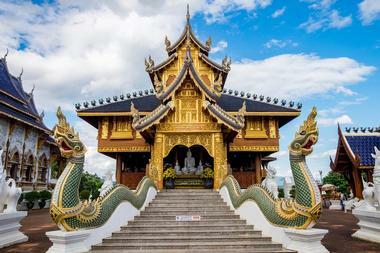 Visitors will want to peruse the classically unique Thai temples and architecture of Chiang Mai that are a fusion of architectural styles - ancient Lanna, Mon, and Burmese. Among the hundreds of ornate Buddhist temples, 14th century Wat Phra Singh and 15th century Wat Chedi Luang should make any must-see list. The old city displays remnants of walls and moats recalling its glorious past, also a must-see. Phuket is Thailand's biggest island and a world-class beach destination. Visitors can expect powdery white sand beaches, crystal-clear waters, and swaying palm trees. In fact, there are over 30 beaches on the island, many of the most popular along the southern side - Kata, Patong, Karon, and Kamala. The most popular on-water attraction is a relaxing boat tour of enchanting Phang Nga Bay. 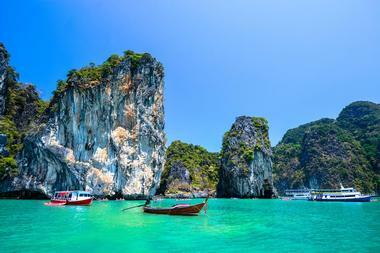 Day trips to the Phi Phi Islands, the setting for the movie The Beach, are also popular. The wildest nightlife is along Patong's Bangla Road, and the best night markets are Walking Street in Phuket Old Town for the cultural experience and Malin Plaza Patong for the food. Hanoi is best known for its traditional architecture and a rich culture that has both French and Chinese influences, leftover from historical occupations. A good place to start an exploration of this city is in the Old Quarter. The city grows out from Hoan Kiem Lake, where on weekends the nearby roads are closed to traffic and festive days start with tai chi. The triangular-shaped Old Quarter is a short walk from there, offering visitors cheap shopping and a large concentration of street-food vendors. Other highlights include the Temple of Literature, Ngoc Son Temple, and Hoa Lo Prison Museum. The best views of the city are from the Lotte Observation Deck on the 65th floor of the Lotte Center. 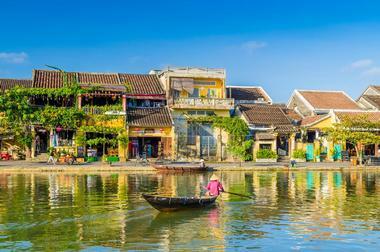 Hoi An is a beautiful central coastal town on the South China Sea. Its well-preserved architecture is reflective of its past glory as a thriving port town with Chinese, French, Vietnamese, and Japanese influences forming an eclectic and enchanting cityscape. 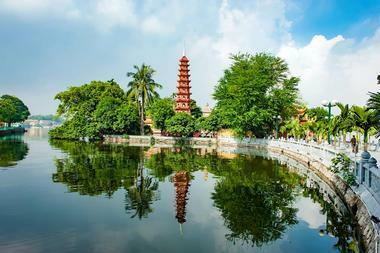 In 1999, Hoi An was listed as a World Heritage Site due to its many pagodas, temples, and ancient residences. A tour of temples should include Chuc Thanh Pagoda, the oldest Buddhist temple, and the Quan Cong temple complex, which is dedicated to Chinese General Quan Cong. Hoi An Riverside on the banks of Thu Bon River is where all the action is. Other must-see sights are the Japanese Covered Bridge, Cua Dai Beach, and the Hoi An Museum of History & Culture.